Alcoholic fatty liver or steatosis is fat in the liver caused by the consumption of alcohol. Fat in the liver can begin to accumulate after only a couple of days of heavy drinking. Alcoholic fatty liver is the first stage in alcoholic liver disease. Alcoholic fatty liver can lead to more serious conditions such as fluid retention, brain disorders such as hepatic encephalopathy , alcoholic hepatitis, cirrhosis, liver cancer, liver failure, and the possibility of requiring liver transplantation. The overconsumption of alcohol can be fatal. Alcoholic fatty liver is caused by drinking alcohol. Men should not consume more than 2 standard units of alcohol per day, and women should consume no more than 1 standard unit per day. Drinking every day, binge drinking, drinking on an empty stomach, genetic predisposition, and obesity increase the risk for developing alcoholic liver disease. 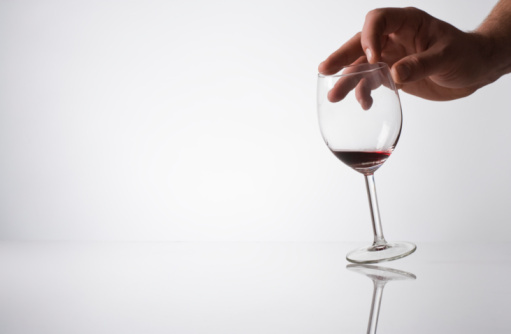 Women are twice as likely as men to develop an alcohol-related liver disease. Blood tests and ultrasound or other diagnostic imaging tests may be used to assess the presence of alcoholic fatty liver. Avoiding alcohol and maintaining a well-balanced diet are essential in the treatment of alcoholic fatty liver. Avoiding excessive alcohol consumption and maintaining a healthy diet that is high in antioxidants, fresh fruit, and vegetables help prevent alcoholic fatty liver. Acute alcoholic fatty liver can manifest after only a few days of excessive drinking. It is estimated that nearly all of those who drink alcohol will develop fat in the liver. More than 15 million people in the U.S. drink alcohol excessively.